2 October 2015. 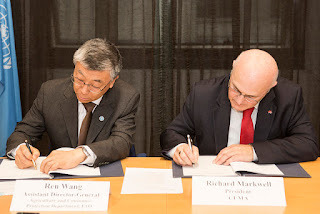 Rome – FAO and the European Agricultural Machinery Industry Association CEMA, an international non-profit organisation, forged a new partnership that aims to promote wider use of sustainable agricultural mechanization in developing countries. 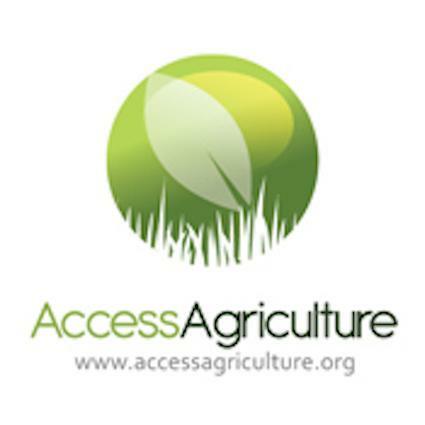 The two organizations will work together to manage and disseminate knowledge on sustainable approaches to agricultural mechanization. They will also jointly develop technical programmes to support innovation in mechanization and facilitate the implementation of sustainable mechanization initiatives at the field level. 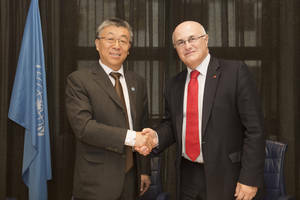 “If undertaken in a sustainable and inclusive way, mechanization can be a game changer for agricultural systems, helping remove the drudgery associated with farm work, overcoming time and labour bottlenecks, and reducing the environmental footprint of agriculture”, said Ren Wang, Assistant Director-General of FAO’s Agriculture and Consumer Protection Department. “Tailored, inclusive, and integrated approaches to agricultural mechanization can make a real difference in increasing the welfare of farm households and create positive dynamics and opportunities for economic growth in rural areas. As such, we look forward to working together with the FAO on this important issue”, said Richard Markwell, President of CEMA. The initial focus of the FAO-CEMA partnership will be on capacity building activities in Africa, where human muscle remains the most important power source for smallholder farmers. For example, in sub-Saharan Africa, humans provide 65 percent of the power required for land preparation compared to 40 percent in East Asia, 30 percent in South Asia and 25 percent in Latin America and the Caribbean. Promoting mechanization in agriculture means that more tasks can be completed at the right time, more efficiently and saving labour and energy. 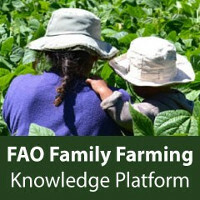 However, the equipment has to be compatible with the social, economic and environmental conditions in which it will work, in order to achieve sustainable crop production intensification. Onе such example of this type of equipment that can easily adapt to the context of developing countries is the range of low-cost smaller horsepower tractors. This type of tractor can be attached to planters designed to operate on soils under zero tillage regimes by depositing seeds directly into the soil with minimal disturbance. Compared to traditional tillage-based practices, direct seeding is far more energy efficient and less time consuming. It also reduces input losses and drudgery and, over time, achieves better crop yields when combined with adequate conservation agriculture practices. The effect on the environment is also very positive as soil erosion and compaction are eliminated and biodiversity is enhanced. Direct planters are also well suited to animal traction which can also be used to pull small carts for transporting people and of goods. Low horsepower tractors, and indeed stationary engines, can also be used by smallholders to power other agricultural equipment, such as pumps, threshers and mills, improving farming conditions and productivity and coping with problems such as labour shortage and inadequate processing times. Other examples of hand operated equipment that have a huge impact on labour efficiency are improved maize shellers or pumps for water lifting. Through technologies such as refrigeration and packaging, value is added to agri-food products and market access is facilitated. These technologies are also crucial in reducing food losses and waste. CEMA is the association representing the European agricultural machinery industry. 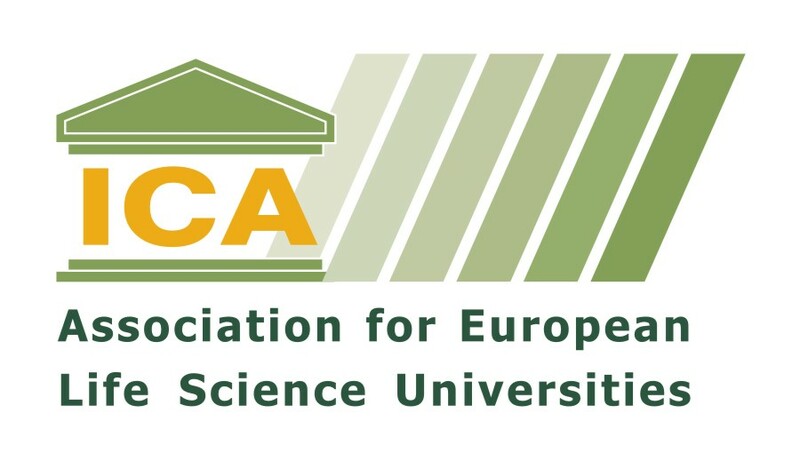 With 11 national member associations, the CEMA network represents both large multinational companies as well as the numerous European SMEs active in this sector. 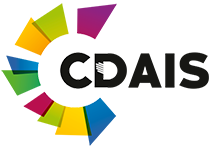 CEMA represents more than 4,500 manufacturers, generating an aggregated annual turnover of EUR 26 billion. 135,000 people are directly employed in the sector, with a further 125,000 people working in distribution and maintenance.